MSNBC’s Morning Joe host Joe Scarborough had an interesting take on Thursday’s show about the controversy regarding the dismissive comment by Rep. Ilhan Omar (D-MN) about the Islamist terror attacks on September 11, 2001 that Omar made to a CAIR meeting on March 23: “Some people did something”. Scarborough tried to support Omar, but he brought up the cliche of the Muslim suicide bomber instead. 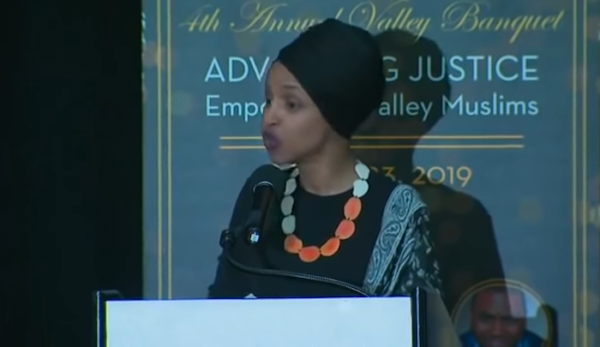 In true Scarborough fashion, rather than taking Omar to task, Scarborough put the onus on a Republican Congressional critic of Omar to set her right. Scarborough, himself a former GOP Congressman from Florida, criticized Rep. Dan Crenshaw (R-TX), a wounded veteran of the war on terror that proceeded from the 9/11 attacks, for tweeting at Omar rather than talking to her personally. JOE SCARBOROUGH: You know, Dan Crenshaw did a great job reaching out to SNL. SCARBOROUGH: Pete Davidson. And he was tweeting about this yesterday. I didn’t quite understand that, because he works with her. Walk across the aisle, and just sit down. It’s so important, I think personally, for her to succeed, right? There have been some missteps. But there’s something much bigger here, like going on. We don’t want one of our first Muslim, women, Americans to, to, to, to blow up politically like this. And I just wish he’d walk across the aisle and go, hey, let me tell you, this is why this is going to be offensive to some people and I understand how you feel about Israel but just can we just talk regularly about this? Omar played the victim with Crenshaw over his criticism, with Crenshaw responding Wednesday.